This article was originally published in the University of Oklahoma’s OU Daily on February 28, two days before Senator Bernie Sanders won the Democratic primary in Oklahoma. 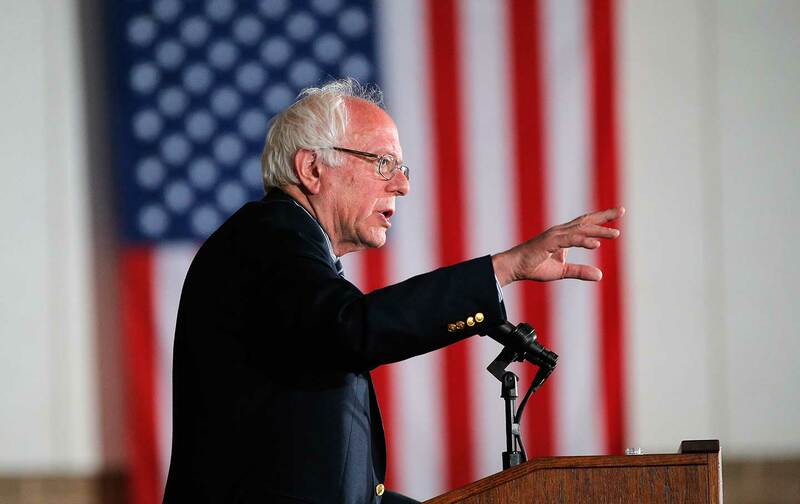 Democratic socialist is a term presidential candidate Bernie Sanders uses frequently to describe himself, but it doesn’t seem to scare younger voters. Jessica Thornton, an OU graduate from Oklahoma City and Sanders supporter, said she understands where the negative stigma associated with socialism comes from, but that it should not be seen as a scary thing. “I know there have been types of socialism in the past that have gone negatively, but the same thing can happen with capitalism,” Thornton said. During a rally in Oklahoma City on February 28, Sanders said it is the job of the citizens to “revitalize American democracy,” an idea that ties in heavily to his position on democratic socialism. Harper Horning, a biology junior at OU, said the polarization of American politics makes it hard for our nation to move forward, and that Sanders’s ideas for the future of America bring hope to younger voters like herself. “I feel like as millennials and as college students, we don’t want that as our future, and his ideas are so progressive that it’s easy to feel like he might actually stand for something more than just politics,” Horning said. Horning also said the term democratic socialism doesn’t scare her, because it is already in place to a certain extent. “I don’t think of it as a bad thing because we have so many socialist programs like Medicare and Medicaid…you have to have some sort of government regulation for our country to work,” Horning said. Manon Fisher, an industrial engineering sophomore at OU, said one thing that stands out for her the most when it comes to Sanders’s policies is making college education free. “Putting yourself through school is hard, and it’s positive for me to think that maybe when my little sister goes to college, it will be different for her,” Fisher said. Horning said Sanders’s policies are refreshing to hear, because sometimes millennials can feel weighed down by the problems in the country. “It’s refreshing to hear such big and inspiring ideas that are so open to change because I think we need drastic progress at this point,” Horning said. Sanders began his presidential campaign 10 months ago and at the time was down 3 percent in the polls, he said during the rally. But earlier this month, he won the New Hampshire primary. Lauren MassingLauren Massing is an undergraduate student reporter for the OU Daily.